My name is Natasha and I am a Support Engineer at Appogee HR. Each month one of our team will write a blog post about what interesting tips or features we have on our system. After all sharing is caring and we at Appogee HR love to keep our customers in the loop about such details. 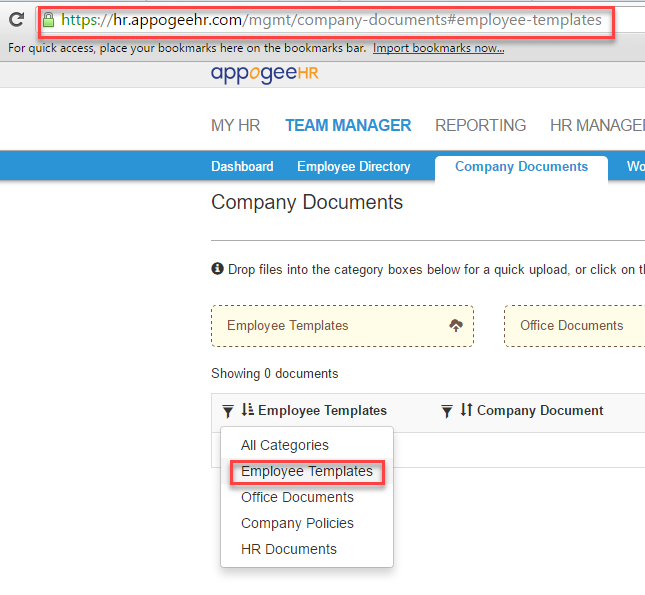 We have decided to kick start our first ever Appogee HR tips blog post with 3 handy tips. Take a peek below and make sure you keep an eye out for future Appogee HR and Appogee Leave Tips. If you have any feedback or questions, please get in touch at sales@appogeehr.com or support@appogeehr.com. If you have an exhaustive list of notifications that may not be applicable anymore, instead of dismissing each one individually, you can dismiss all at once to save time. 2. Each Company Document Category has it’s own unique URL. This may be useful for linking from external sources such as company intranet, social media, documents etc. To find out what the URL is for a specific category, simply select the category from the filter dropdown and copy and paste the URL from the browser address bar. On the Employee profile of a user, there is an audit log of all activity. This can be an exhaustive list, even when arranged according by date. However this list can be filtered on all aspects of employee data, which will make searching less tedious.